Wrinkles and facial lines result from ageing, m uscle activity and genetic make-up. Other factors such as exposure to the sun and sunbeds; smoking and alcohol consumption can contribute to the development of wrinkles. These can be reduced by Wrinkle Relaxing Injections. This very popular treatment uses botulinum toxin (type A) which acts as a muscle relaxant when injected directly into a facial muscle. Botulinum toxin (type A) is most effective in the treatment of wrinkles caused by facial expressions such as frown lines on the forehead and between the eyebrows (worry lines) as well as crows feet (laughter lines). It is injected directly into these muscles to stop the muscles from contracting and therefore smoothing out lines and wrinkles. 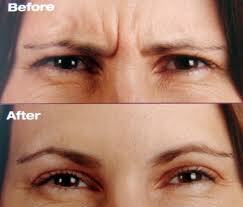 Who can have Wrinkle Relaxing Injections? Both men and women of all ages can benefit from this treatment. Your Aesthetics Nurse Practitioner will discuss your medical history and any medication that you take to ensure that there are no contra-indications to treatment. Women who are pregnant or breast feeding should avoid this treatment as a precaution. Before the treatment you will have a consultation with an Aesthetics Nurse Practitioner to assess your suitability and discuss your desired result. The actual treatment will take 10-15 minutes depending on how many areas you are having treated. The needle used to administer the injection is very small and should not be painful. You may feel some mild discomfort but this will be minimal and short-lived. You will begin to see the results within 2 – 3 days although the full effect of the treatment will not be seen until approximately 14 days after your procedure. Your first treatment will usually last approximately 3 – 4 months but with repeated treatments the effects will last longer. Your Aesthetics Nurse Practitioner will see you 2 – 3 weeks after your treatment to ensure that you are happy with the results and will be happy to discuss further treatments at this time. 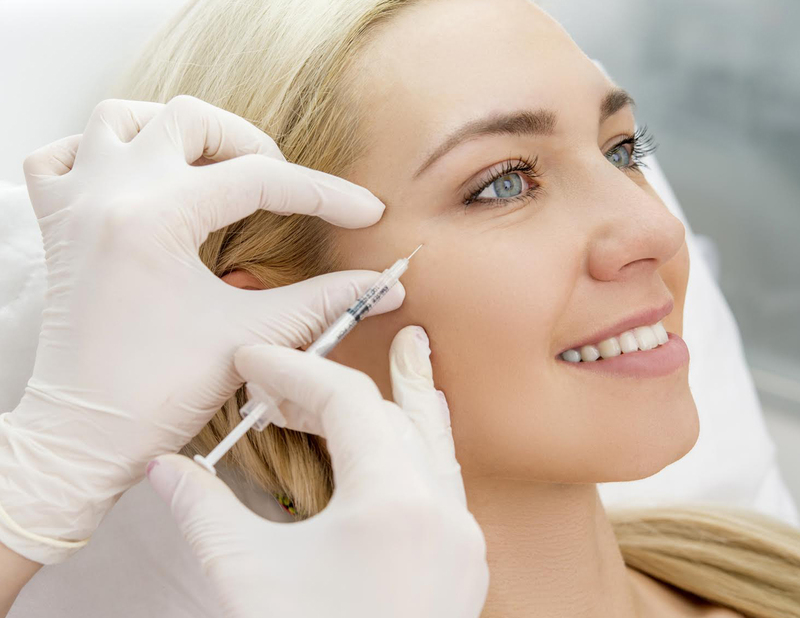 Botulinum toxin (type A) has been used for 15 years on hundreds of thousands of people and is very safe. Some people experience mild bruising, swelling or redness around the area but this usually clears very quickly and you should be able to return to your normal daily activities immediately after your treatment. Allergic reaction is very rare but should this occur your Aesthetics Nurse Practitioner is a very experienced healthcare professional and will be able to take the necessary action to ensure your safety. An ‘area’ can be either Crows Feet, Forehead Lines or Frown Lines.